Cornish Pilot Gigs were traditionally used for taking pilots out to vessels in the Atlantic and are one of the earliest known shore lifeboats for attending vessels in distress, with rescues going back to the 17th century. When delivering pilots onto ships (often about to run aground) the gigs would race to be the first on the scene, therefore getting the job and the pay packet. 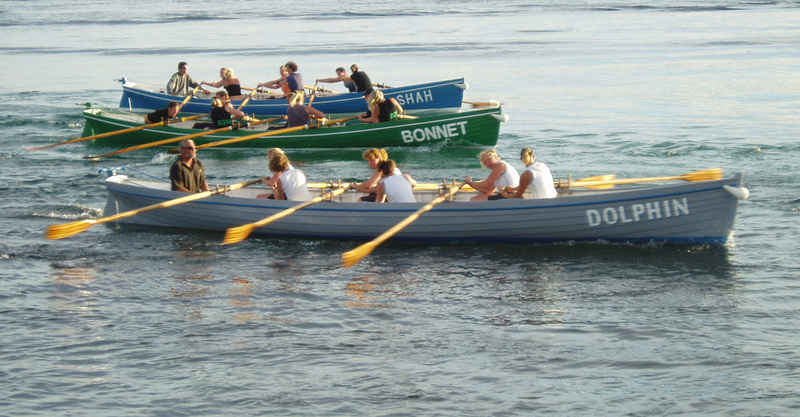 Pilot gigs were usually 32 foot, 6 oared rowing boats made from elm with a beam of four feet, ten inches and today they are mostly used for sport. 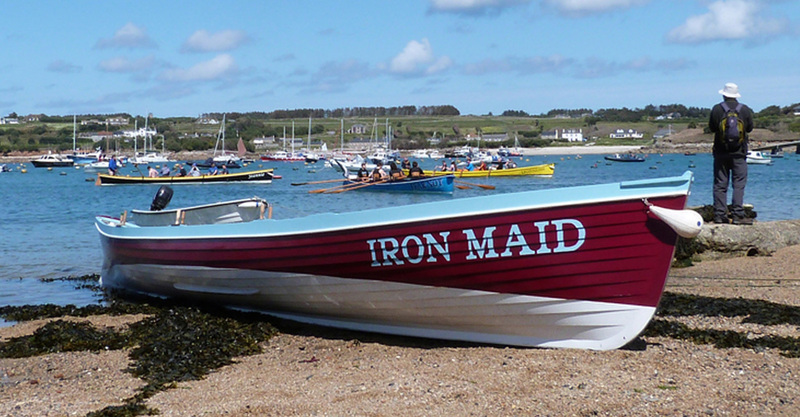 All modern racing gigs are based on the "Treffry", built in 1838 by William Peters of St. Mawes, and still owned and raced by the Newquay Rowing Club. However non-racing gigs have been built which do not conform to the exact specification of the Treffry and are disallowed from racing in competitive races. 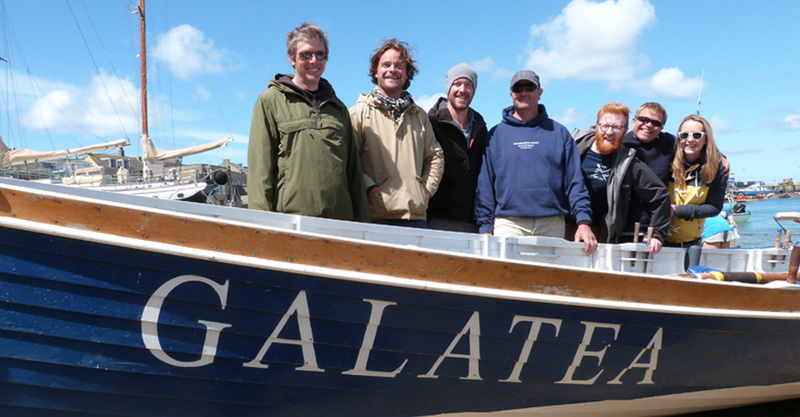 The Isles of Scilly are proud of their longstanding gig racing heritage and work hard to make sure that the original, older boats are not forgotten. 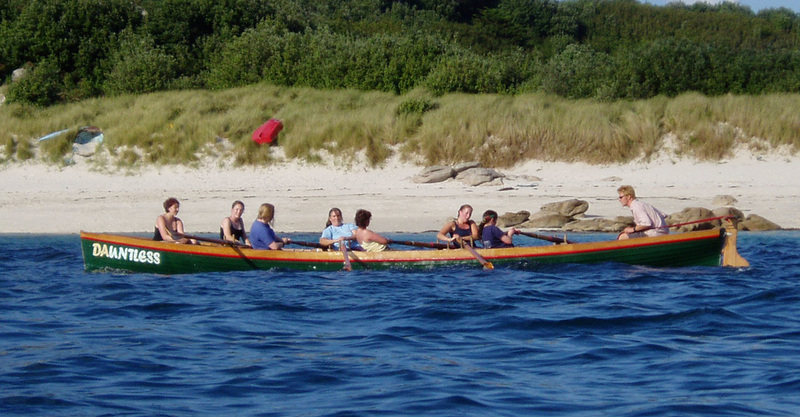 On Scilly the newer, faster gigs are usually only allowed to race with novice crews so that the gig clubs are still able to use their older, slower gigs with their more experienced rowers. The swap races are also designed to eliminate any unfair advantages of the speedier boats! 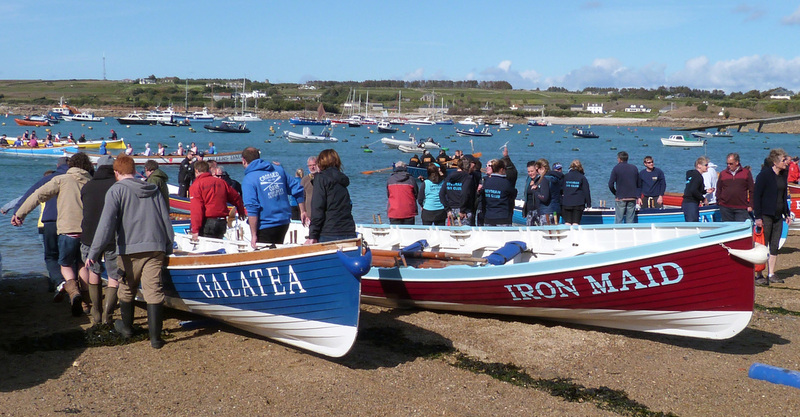 Here on St. Martin's we have four pilot gigs, the Dolphin and Galatea owned by St. Martin's Gig Club and the Dauntless and Iron Maid owned by the Morton family.